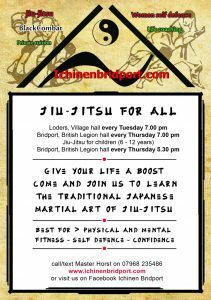 New students wanted – Everybody welcome! 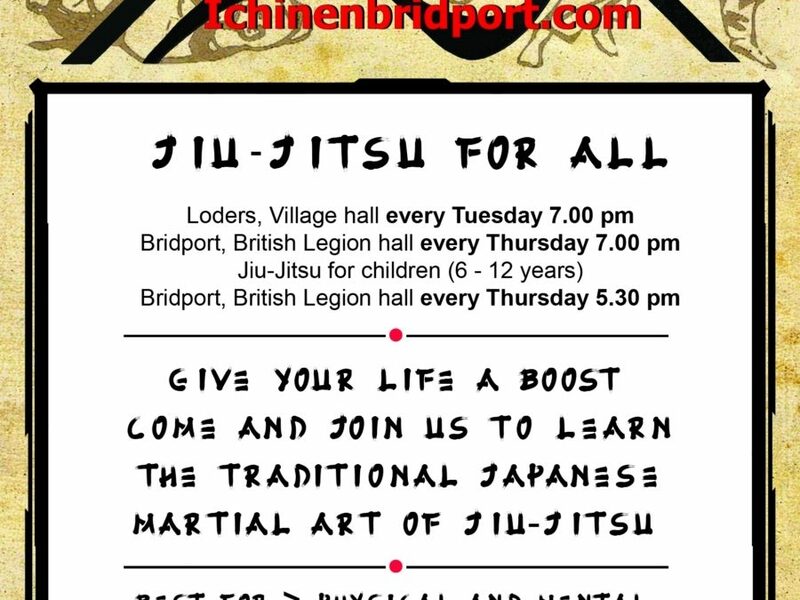 Ichinen Bridport is looking for new students in the Jiu-Jitsu group. We train twice the week each 1.5 hours on soft mats. Training includes a good workout and warm up and suits everybody. Come along for a taster session or just watch and have a chat with your instructor.